Recent news about more than 200 kidnapped young Nigerian girls while attending school by known terrorists and the news of thousands of children traveling alone from Central America to the USA under very dangerous conditions is very disturbing. Children fleeing Central American are not safe and it is reported that many of them are kidnapped, raped, and even killed before reaching our USA borders. And those children kidnapped in Nigeria face a very uncertain future as well. It is obvious children are becoming more and more the focal point of war and politics. When I heard children from Central America were arriving at the USA borders, I immediately thought of Costa Rica and more specifically, the children of Copey. I was relieved these reports excluded children from Costa Rica. The memory bank deposits for all these young children mentioned reflects a staggering contrast of life in Nigeria and areas in Central America compared to the life of a small child in Copey. These are not good memory bank deposits for those in harms way. The memory bank deposits for children in Copey are very different. 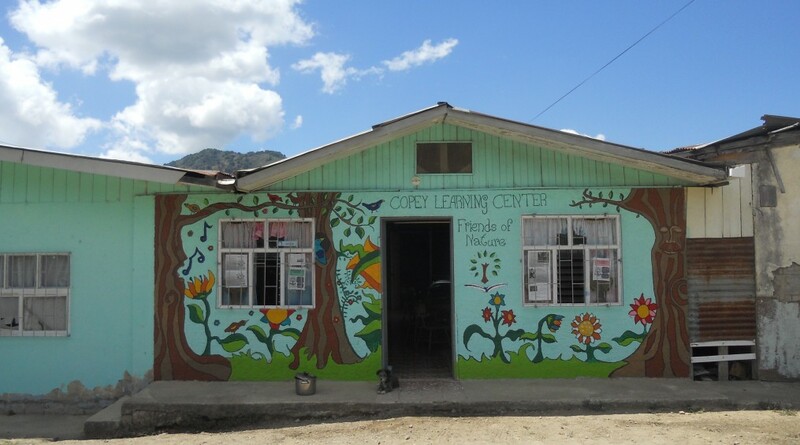 The courage and vision of the founder of the Learning Center and the wisdom of the community to establish and maintain the Learning Center is life changing for children in Copey. The founder saw the need to help children and did not wait on a government program or some outside agency to act. Instead, the founder and the Copey community decided to take charge to help the future of their own children. The daily deposits into the memory banks of their children involves caring parents, teachers, a community and the awareness that many friends outside of Copey are very interested in them. In the Learning Center, children are having positive life experiences, achieving educational objectives, and enjoying the pride and support of their parents…not the fears of political and military conflict. I pray for a better day and future for all of these young children. The most recent report on current operations at the Learning Center indicates things are moving along very smoothly. 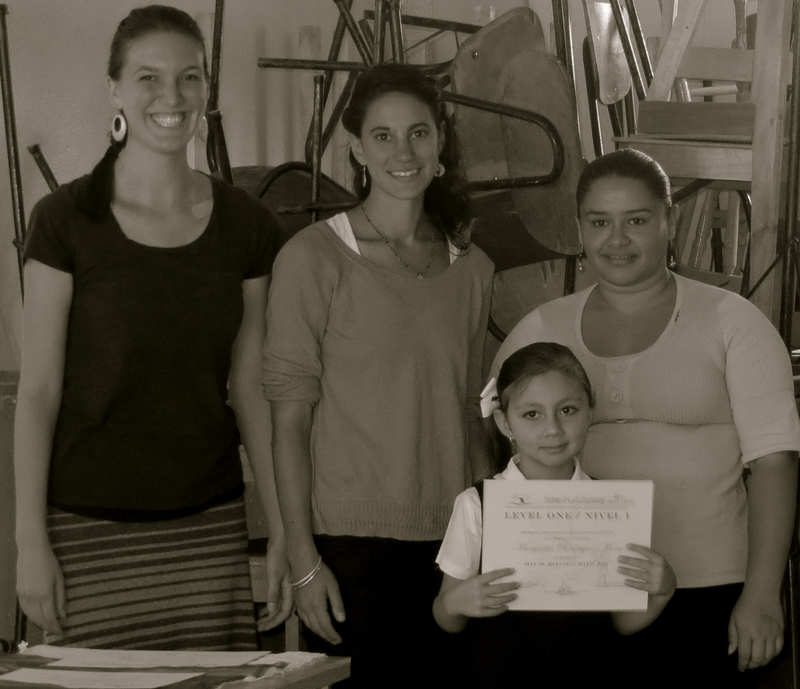 A new volunteer recently arrived at the Learning Center to begin her work. Bethany Sullivan, from Texas is on board to teach during the summer. She attended the University of North Texas and has taught Pre-K and 3rd grade and will return to teaching 5th grade in Dallas when she completes her volunteer service in Copey. Bethany is already making memory bank deposits and the “friends of Copey” wish her well. What a day for a daydream…….. It seems that each day I am doing something relating to “Friends of Copey” and I truly enjoy it. Almost weekly, new people join the growing list of “friends”. With over 1,500 hits on my Blog since its start about six months ago, I continue to be both amazed and deeply appreciative for those who travel with me on this journey. I know there are some who either have lost interest or are not as excited as in the beginning. I am told this is the unfortunate nature of blogging and advised not to take it personally. Not easy advice to take and I very much appreciate everyone who has visited this Blog. Even today, someone from the Netherlands visited the site as others have from Brazil, England, Canada and Central America in the past. Since things are moving along very well at the Learning Center and we are in the middle of a couple major developements, I thought I would just take time to think about things. Yes…”what a day for a daydream”! I have had some really great times in Costa Rica and invite you to daydream some with me while I share a few of my photos of Costa Rica. There is so much beauty in Costa Rica and I have been fully blessed to have seen so much of it. I hope you will enjoy the pictures. 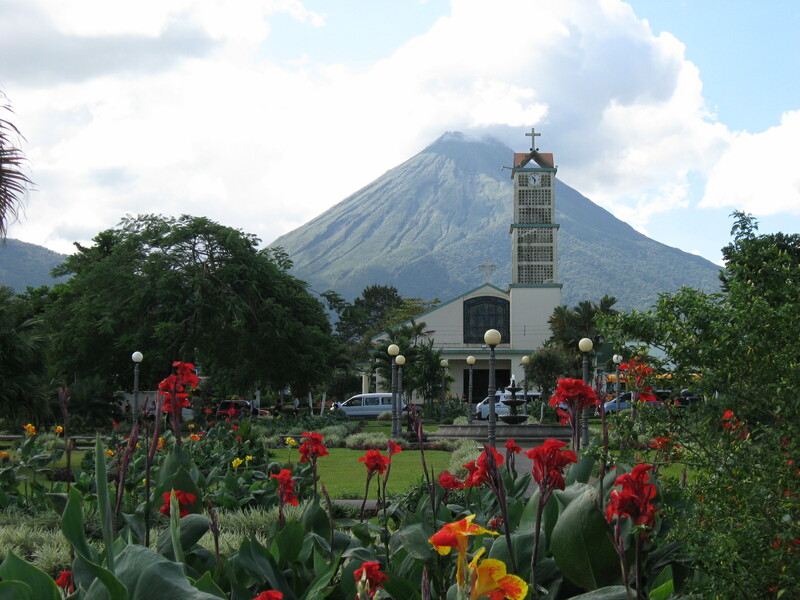 You will see this view in La Fortuna where the Arenal Volcano is located. This town is located west of San Jose and was one of our stops on a country w ide trip through Costa Rica in January 2013. On the far southeast end of the country is a village name Puerta Jimenez, another stop during the 2013 trip. This is the view at sunrise at 6:00am. This was a coastal village and very close to Panama. The fishing is popular and the community seems very friendly. On Friday and Saturday nights, the locals party like there is no tomorrow. This stop included some deep sea fishing. As usual in Costa Rica, time on the ocean is very exciting and the views of the mountains while traveling in and out are often breathtaking. Fishing is not bad either. This is a tough fighting D0rado I landed. The restaurants are often very good with very friendly staff. The Dorado was dropped off at a local restaurant and prepared for my dinner. 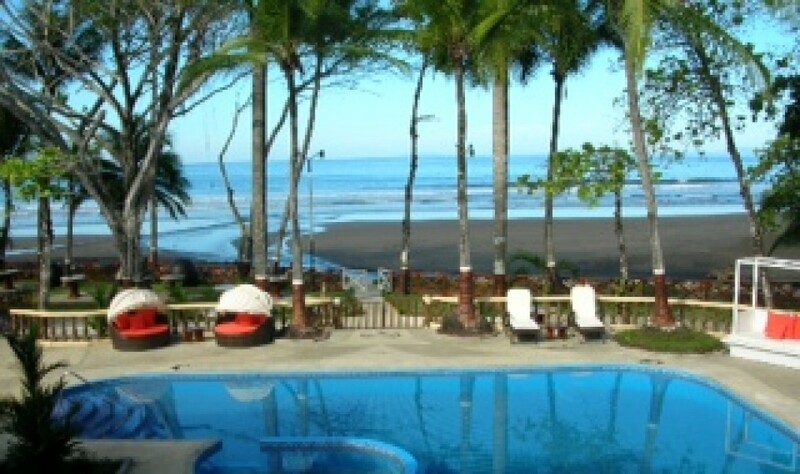 This is a relaxing beautiful beach resort hotel which provides unbelievable views and great access to the ocean. 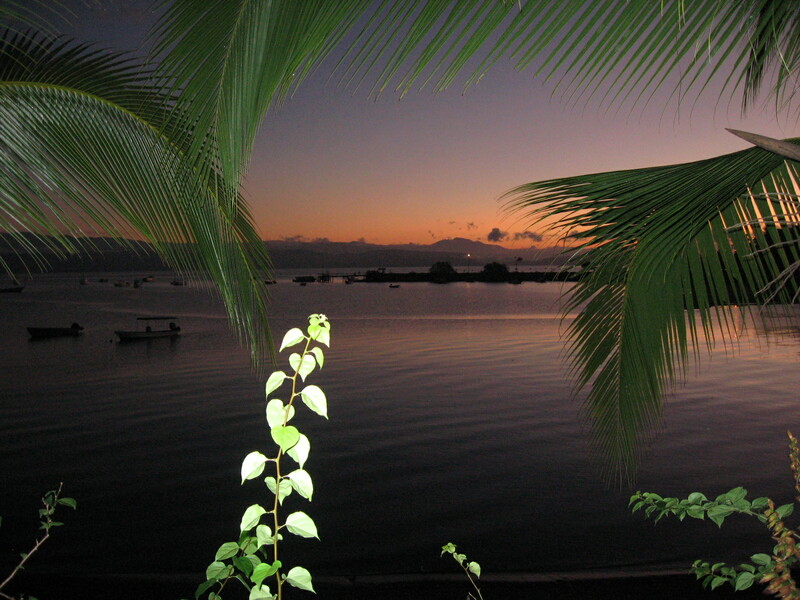 This hotel is located in Jaco Beach on the Pacific side of the country southwest of San Jose. Finally, this view is of downtown Copey. Really, there is not much more than this. It is a lovely location surrounded by beautiful mountains and country living at its best. In many ways, modern living has not caught up to this remote agricultural community.